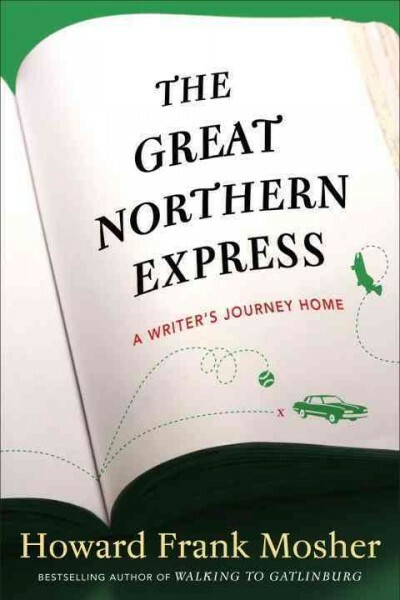 I think I like the idea of The Great Northern Express: A Writer's Journey Home by Howard Frank Mosher better than I like the actual book. The problem may be my own expectations more than the author's writing. I am sure some other readers will like the book well enough, and I liked parts of it very much. I enjoyed how Mosher starts the book with a memory of listening to Yankee-Red Sox baseball games with his father and his father's best friend on a car radio in a spot on mountain where they could get a signal. I appreciate how he told me of his cancer and then said that the disease would not be the focus of the story. I enjoyed all of the parts about his marriage, teaching school, and life in the Northeast Kingdom of Vermont. The story about moving a piano is particularly funny. 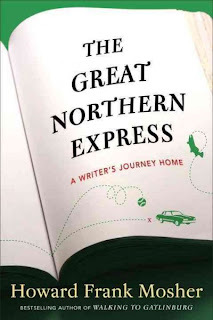 What disappointed me about The Great Northern Express were some of the chapters about his three-season driving trip around the U.S. to promote a novel at 100 bookstores. 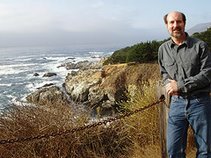 He does warn readers that he uses literary license and folds into the account incidents from previous book tours. So I knew that not everything he was going to say was literally true, but I was not expecting obviously fictional conversations with literary and personal ghosts. Perhaps fans of his fiction will like these fantasies, but I wanted to know more about his actually experiences. I would have liked to have read more about the bookstores and the real people he met. As The Great Northern Express winds down, it gets really good again. At least, Mosher pleased me by writing about what I wanted him to write at the end. The best part for me may be the quotes from his friend, the poet James Hayford. 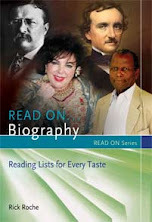 That's who I want to read now. Mosher, Howard Frank. The Great Northern Express: A Writer's Journey Home. Crown Publisahers, 2012. 246p. ISBN 9780307450692.